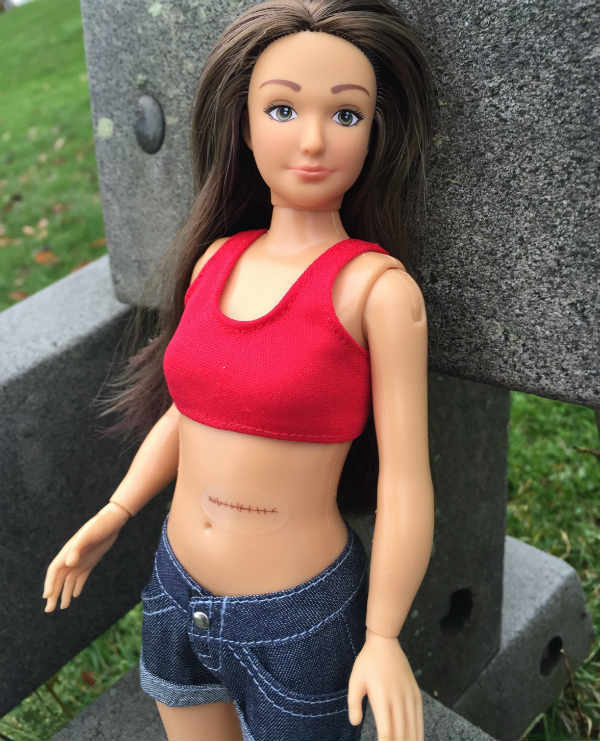 Cellulite, acne, freckles, bruises, tattoos and realistic body proportions – welcome to the new “normal Barbie”. 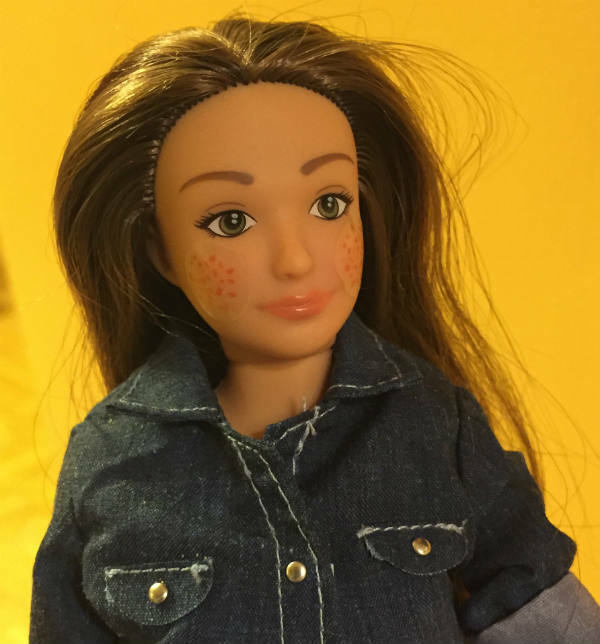 Artist and researcher Nickolay Lamm is taking on Mattel, and traditional Barbies, with his Lammily dolls modelled on the average US woman. Last year, Lamm attracted global attention after he his project that compared Barbie to typical body proportions. He found the demand for “normal”-shaped dolls so high that he launched a crowdfunding campaign in March. More than 13,600 backers pre-ordered more than 19,000 dolls. His project has now become a reality, with the first dolls ready to ship out next week. The 28cm dolls – a smidgen shorter than Barbie – have the body of the average 19-year-old US woman, natural make-up and a casual, sporty wardrobe. 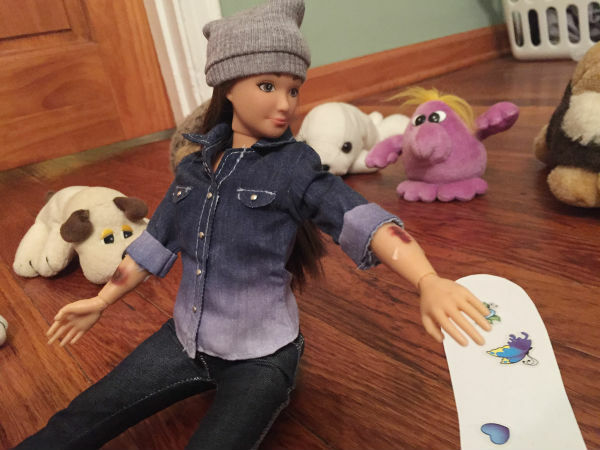 There’s an add-on “Marks” sticker pack that kids can use to give their dolls acne, cellulite, stretch marks, tattoos, scars, bruises, freckles, mosquito bites, glasses, stitches, casts and grass and dirt stains. Clothing packs for the dolls will be available from January, and include outfits inspired by fashion in New York, Rio de Janeiro, Denmark, Scotland, Paris, “rocking” London and Barcelona evening wear. Lammily is billed as “the first fashion doll made according to typical human body proportions to promote realistic beauty standards”. It’s not the first time someone has toyed with our traditional perception of one of the world’s most popular dolls. Earlier this year, photographer Katie Moore produced a series on “home-birth Barbie“, showing typical labour and breastfeeding scenes with partner Ken, their daughter and a midwife. Even Mattel got in on the “empowered” Barbie action, releasing Entrepreneur Barbie as its Career of the Year doll. For more on this iconic doll, check out our Barbie archives.